A round ornament that also holds other smaller ornaments. I think they came out so cute! I decided to include traditional Christmas motifs, as well as personalize it with my Six family initial. 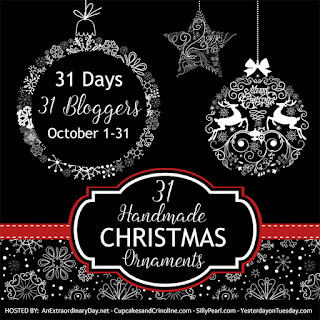 Choose and print your ornaments designs at the exact scale you want the final versions to be. (To create the files, I just Googled "ornament silhouette"). Using spray adhesive, attach the template to the plywood. To cut out interior designs on the scroll saw you will have to drill a pilot hole with your drill or drill press. Cut out your designs on the scroll saw. Straight lines and outside angles are much easier to cut than sharp curves. You need to experiment with what works best. Also, be really careful of your fingers with tiny pieces like this. I always leave as much scrap on them as possible, up until the last cut. That way you have something (far from the blade) to hold onto. Once they are cut out, you can clean them up with sandpaper. I found wrapping the sandpaper around a bamboo skewer make it easier to sand the inside of these small pieces. Be careful since they will want to break easily they are so thing! You can leave your pieces their natural wood color, but I decided to paint and glitter them. I just used craft paints. While the paint was wet I added my super fine glitter. I let all the pieces dry on top of toothpicks to keep them from sticking to the tray. The trickiest part of this project is how to hang the smaller ornament inside the larger one. I couldn't find eye hooks small enough, so I picked up these eye pins (which are tiny.. since they are meant for jewelry.) They worked perfectly! Since they don't come with hooks, you can just bend the eyes open with a pliers. You can also easily cut them to length with a wire cutters. To attach the hooks and eye to the ornaments, I "drilled" a pilot hole in the wood with a push pin. A little hot glue or super glue will secure them in the hole. Here is the final placement of the eye pins. The little ornaments swing freely inside the Christmas ball shape. Plus they are easy to mix and match. You can feature whichever one you want inside! And you can also use the smaller ornaments on their own. The eye is a perfect place to hang them from. Another great beginner scroll saw project and a fun one too! 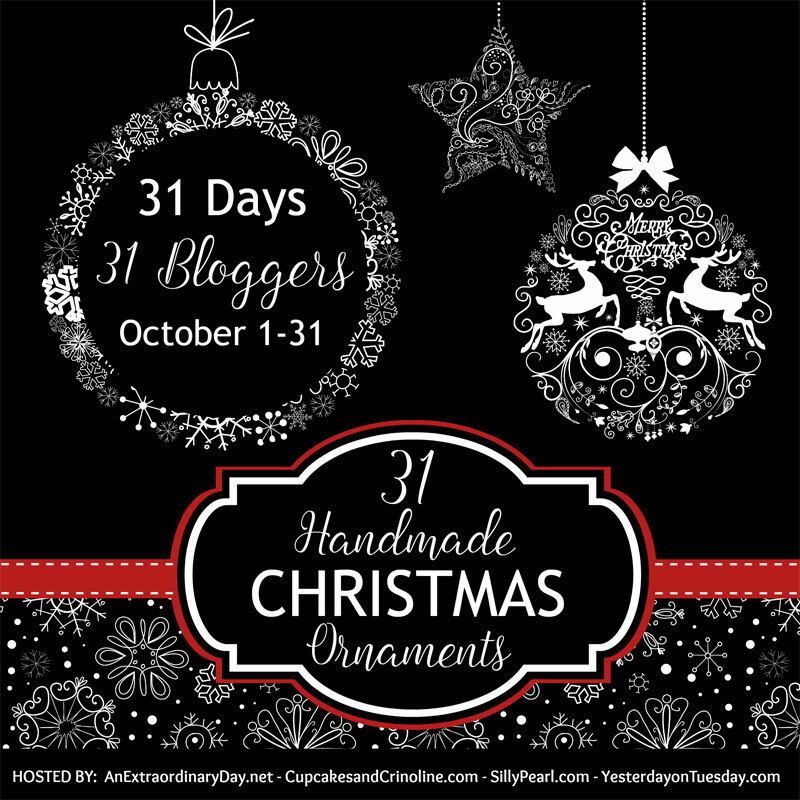 For more Homemade Christmas Ornament Inspiration, here are 30 other bloggers' fabulous ideas!